Sarah Ferguson, Duchess of York and her daughters Princess Eugenie and Princess Beatrice attend a memorial service for Miles Frost at the Arundel Cathedral on February 5, 2016 in Arundel, England. Miles Frost, son of the late Sir David Frost, died aged 31 in July 2015. 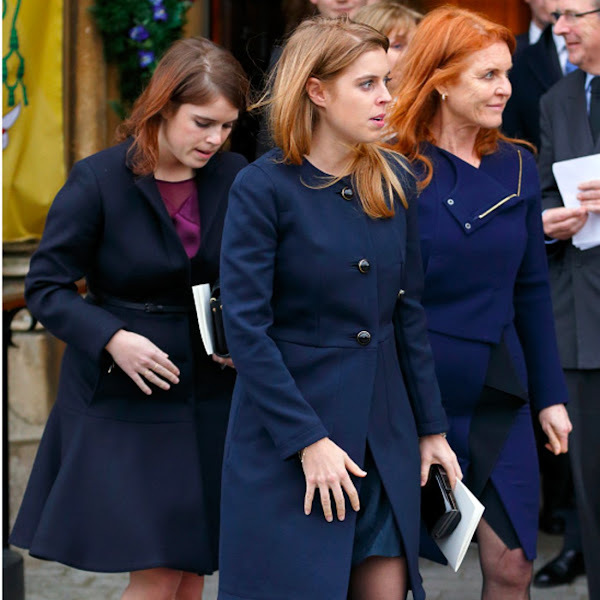 Can someone tell me, what colour is Sarah Ferguson's hair ?!! She look like a belisha beacon ! Yes, Anonymous Feb 7, 2016 8:20 PM - I, too, was horrified when I saw Sarah's hair. Flippin' yikes!!!!!!!!!!!!!!! (I had to google "belisha beacon", oh my.) What is she thinking? She needs to correct that garish shade of red ASAP. It is the shade of red associated with a clown and that's not the image she wants to project. Look at all pictures and you will see in all of them they have different colour of hair. Light very often change colour in photos. Sarah Ferguson is a driven women. Hopefully there will be a time she will be able to be at ease. 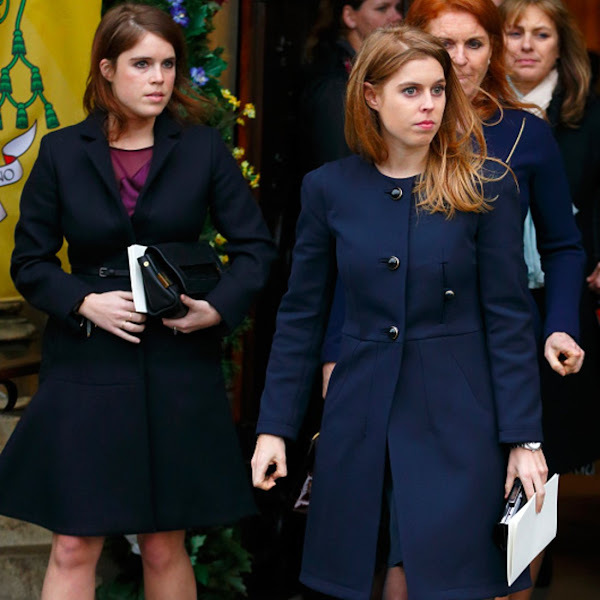 Princess Eugenie is the image of a young Queen Mother !